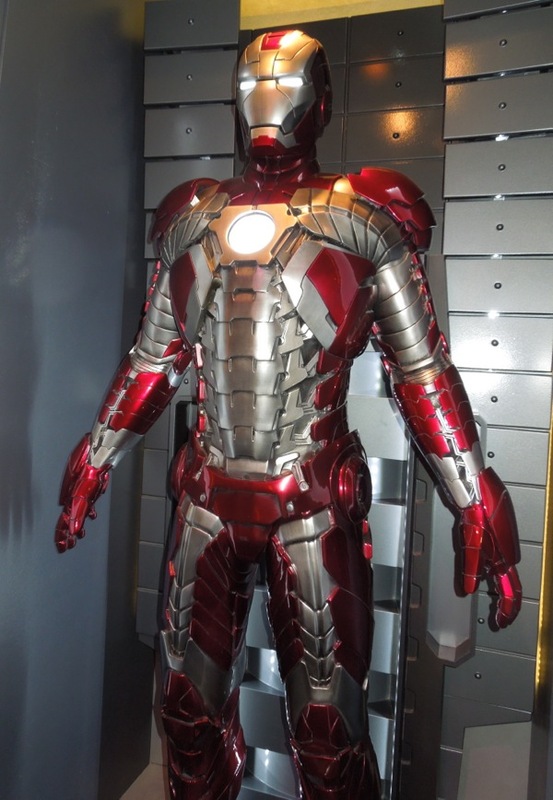 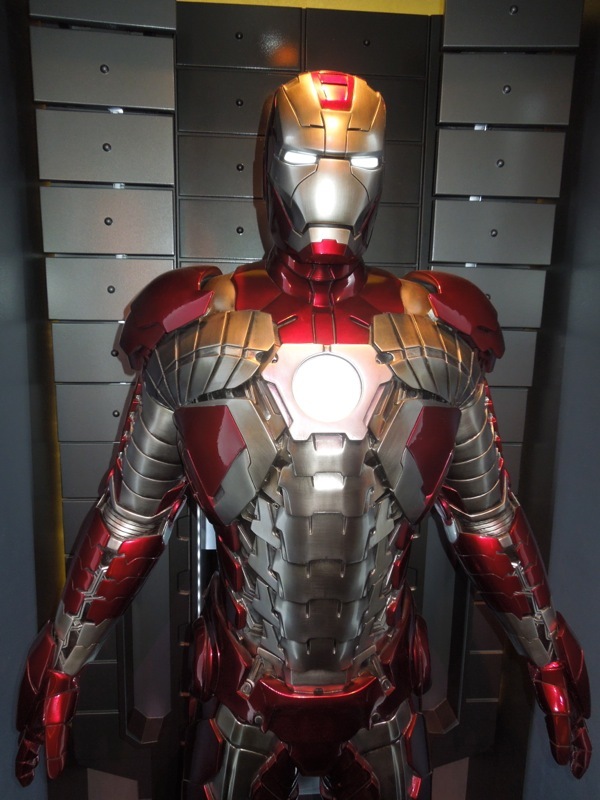 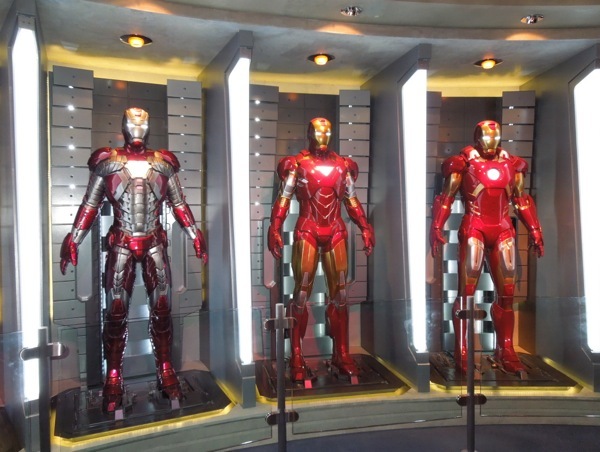 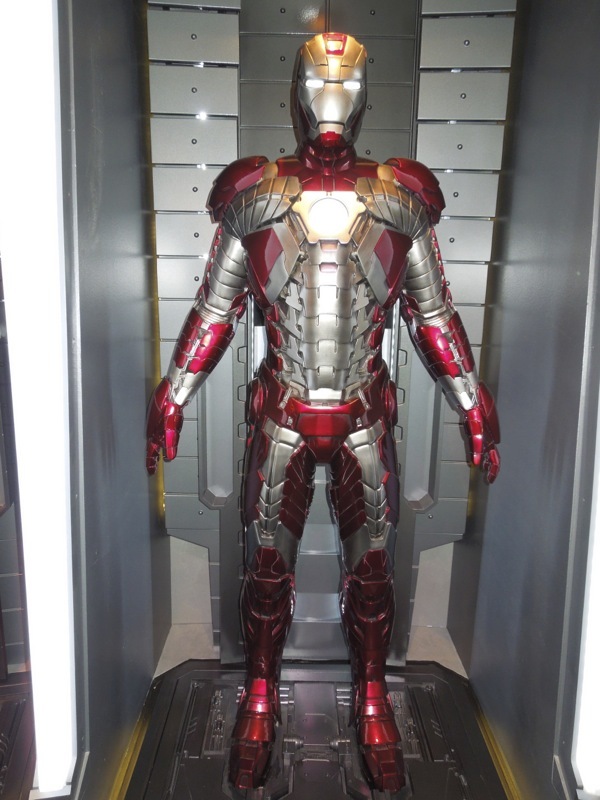 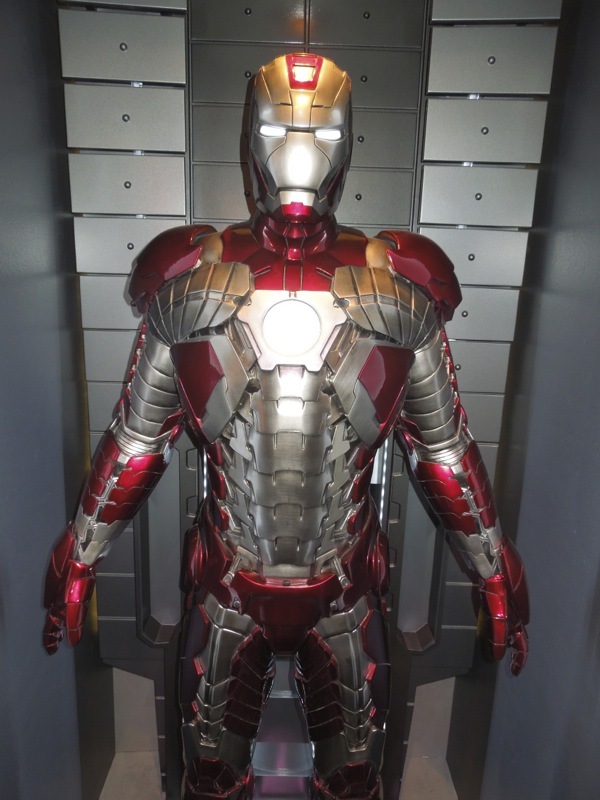 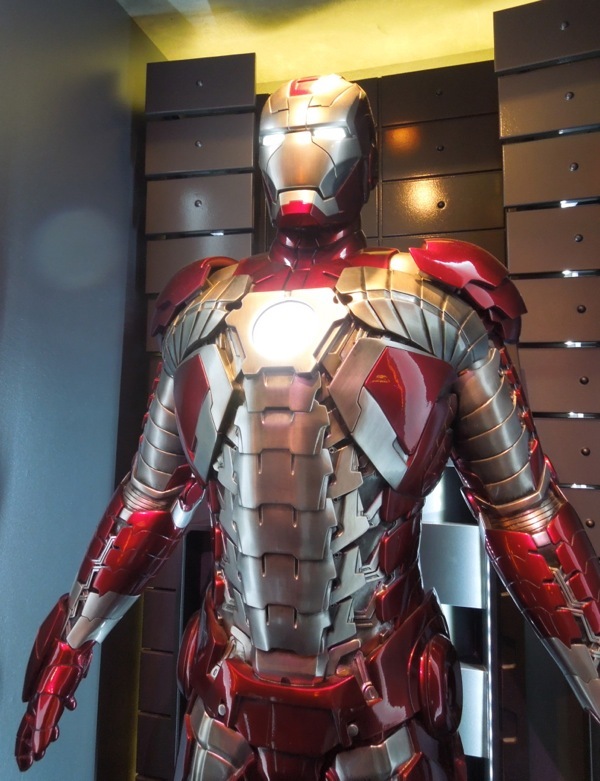 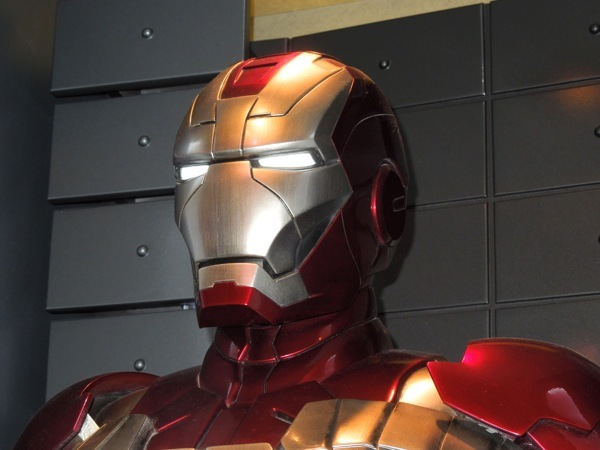 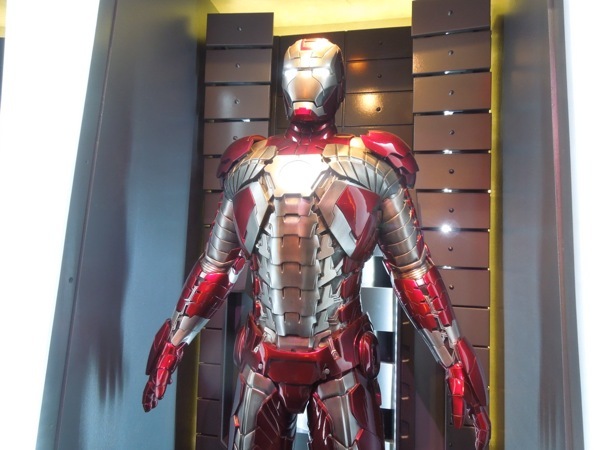 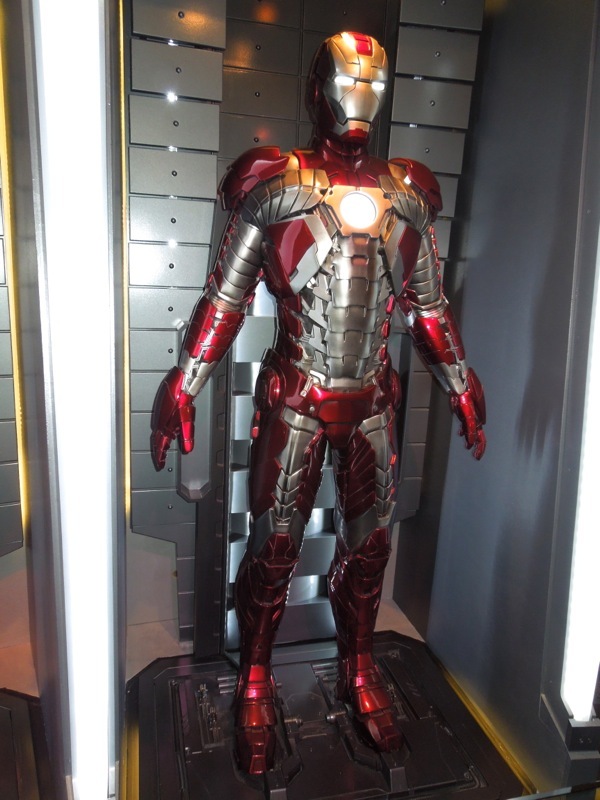 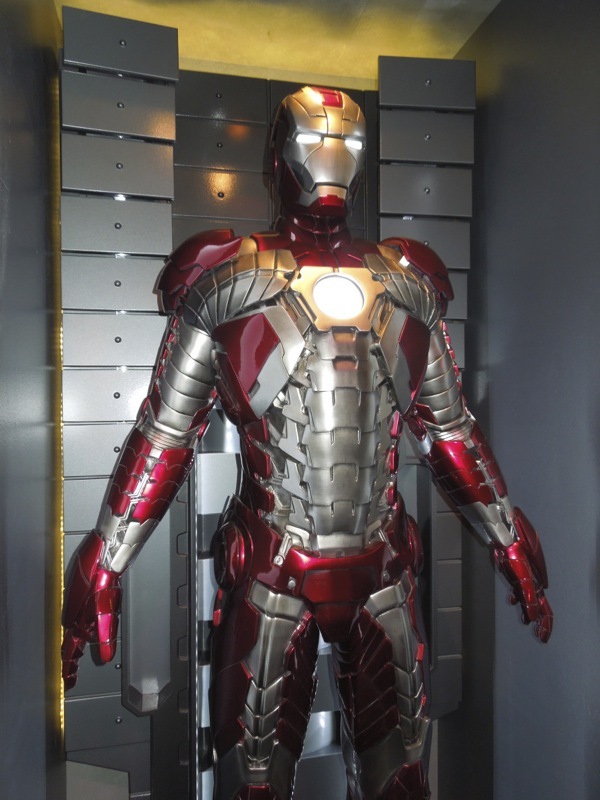 Of all the Iron Man suits on display at Disney's Tomorrowland Innoventions attraction on April 17, 2013, the briefcase armour that featured in Iron Man 2 is by far my favourite (especially as it doesn't hurt that it evokes the silver and red costume from his West Coast Avengers days). 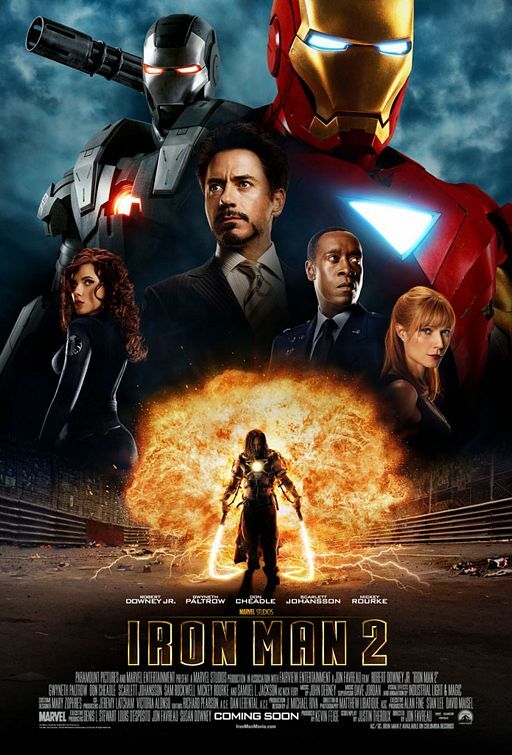 Reading the comic books for years, I always wondered how Tony Stark could believably fit his whole Iron Man suit into a briefcase, but thanks to the wonders of modern CGI special effects I was thrilled to see he could do it in the 2010 sequel, when the armoured Avenger was attacked by Ivan 'Whiplash' Vanko on the racetrack in Monaco. 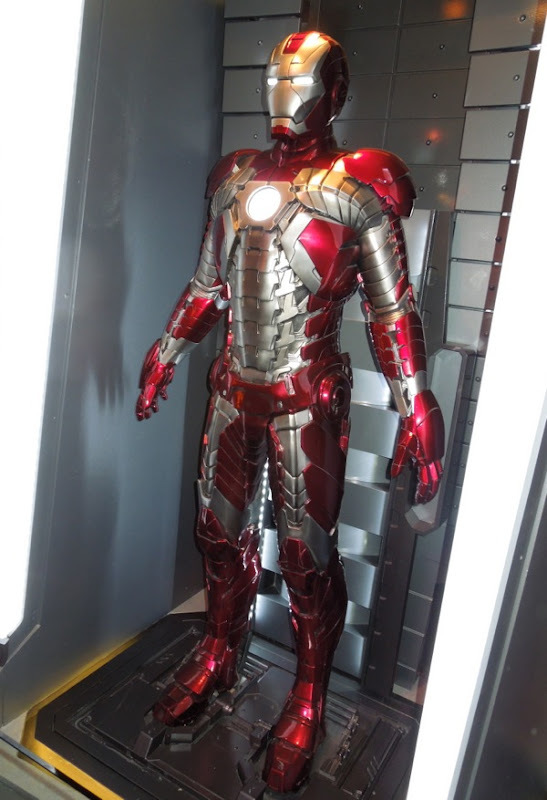 If you like this suit, be sure to check out Tony Stark's Formula 1 race car from Iron Man 2, plus his Mark IV Iron Man armour that also featured in the same film. 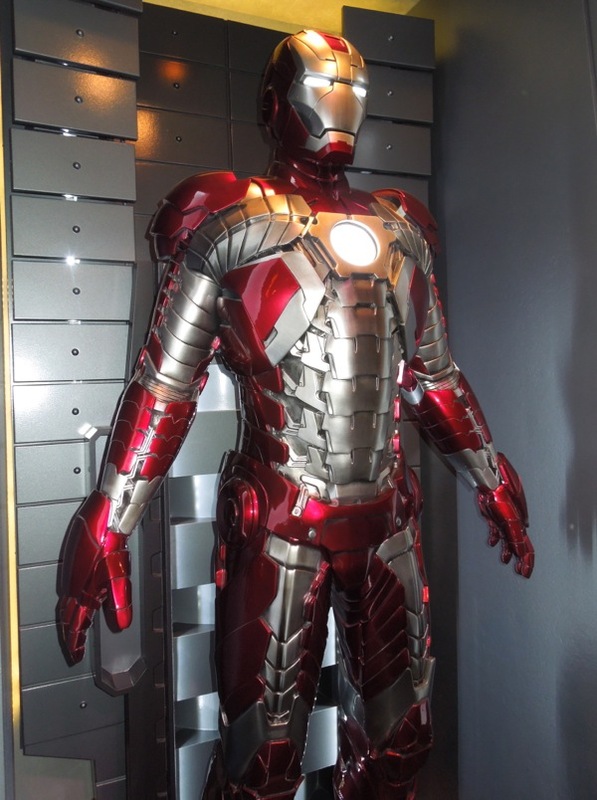 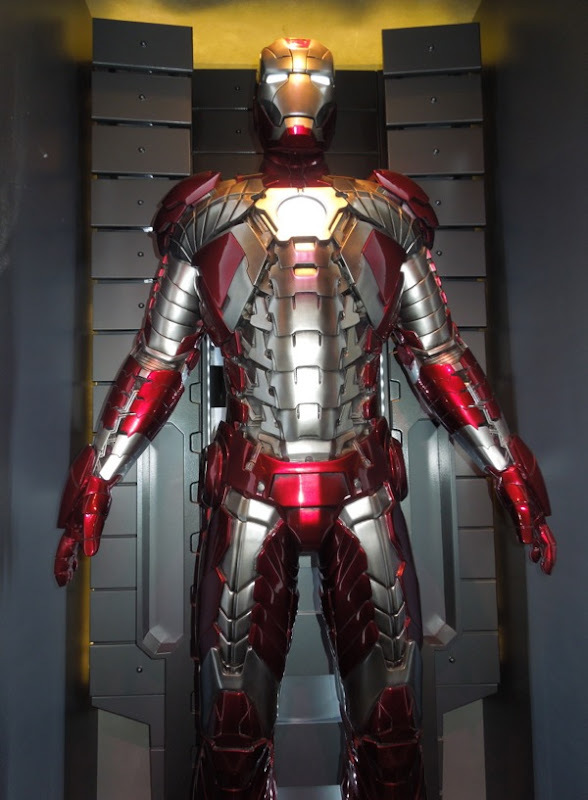 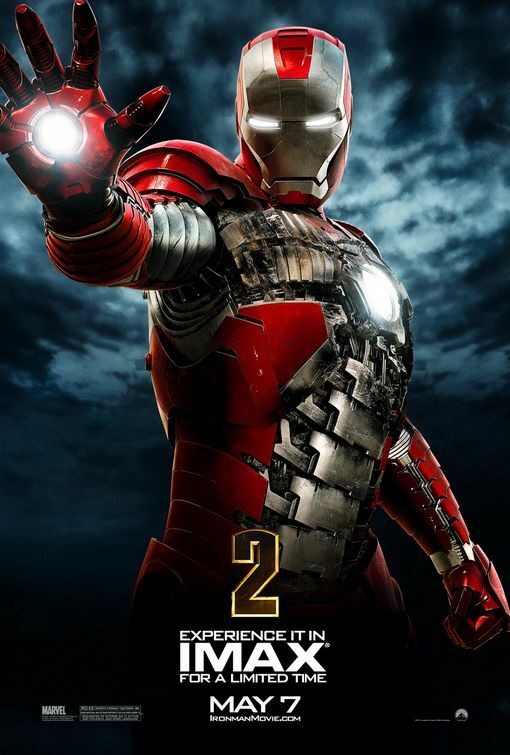 Be sure to stick around in the days to come for a third suit from Iron Man 2, plus the Mark VII armour worn in Marvel's The Avengers.